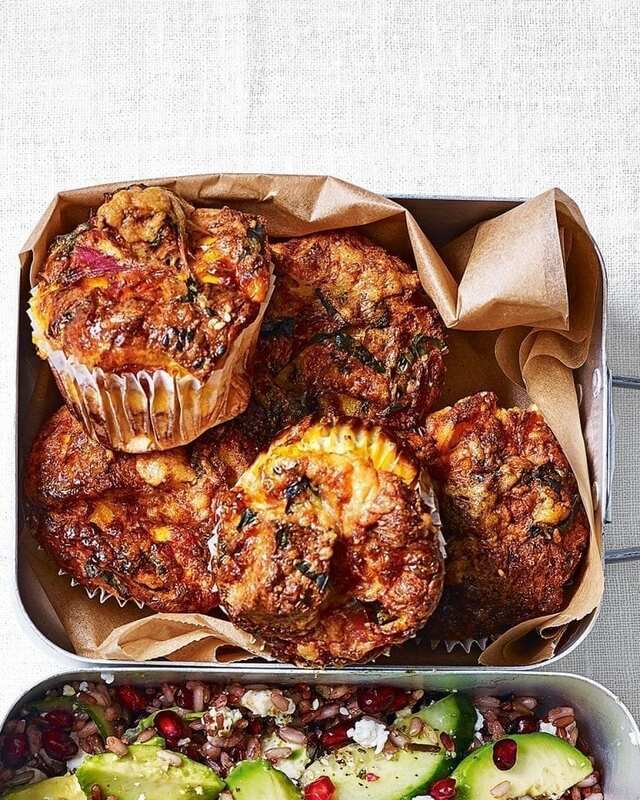 Pop a couple of these cheesy frittata muffins in a tupperware and enjoy as an easy breakfast, lunch or on-the-go snack. Line a muffin tray with 6 standard muffin cases or 4 large paper cases and divide the mixture evenly among them. Bake for 35-40 minutes until set and golden brown. Remove from the oven, cool, then chill. Pack one as a mid-morning snack or take a couple for lunch with a green salad.